If you have been thinking about purchasing a security system for your home, you have probably tried to weigh out both the pros and the cons to figure out if purchasing and installing one of these systems is right for you and your family. However, if you have decided that you might be better off without one of these systems, you should definitely think again. Although some people do get by just fine for years without a security system in their homes, you can't assume that the same will happen for you and your family, even if you haven't dealt with any incidents yet and even if you live in a safe neighborhood. You never know when something might happen to your home and your family, and you don't want to put any of your loved ones or precious belongings at an unnecessary risk. Therefore, it is important for you to be aware of all of the dangers of not having a security system in your home. If you have been thinking about purchasing a security system for your home, you have probably tried to weigh out both the pros and the cons to figure out if purchasing and installing one of these systems is right for you and your family. However, if you have decided that you might be better off without one of these systems, you should definitely think again. Although some people do get by just fine for years without a security system in their homes, you can’t assume that the same will happen for you and your family, even if you haven’t dealt with any incidents yet and even if you live in a safe neighborhood. You never know when something might happen to your home and your family, and you don’t want to put any of your loved ones or precious belongings at an unnecessary risk. Therefore, it is important for you to be aware of all of the dangers of not having a security system in your home. Although a lot of robberies and break-ins do occur when people are not home, you shouldn’t assume that nothing will ever happen while you and your family are at the house. The truth is that some people will rob your home even if there are people inside, and some people might even break into your home with the intent of harming your family. Even if you have weapons in the home, you never know when you could be caught by surprise. If you have a security system installed in your home, however, there is much less of a chance of you getting caught by surprise. With a burglar alarm system, you can be notified with a loud alarm in the event that someone tries to sneak into your home. If you have surveillance cameras, you can then spot the person on the camera before anything happens. This will give you time to figure out a plan for how to handle the situation instead of leaving you to get caught by surprise. Even though you might wish that you could spend all of your time at home in order to protect it, this simply isn’t feasible in today’s world. However, not having a security system turned on while you are away from home is a pretty big risk because it leaves your home sitting there just like a sitting duck. Even if you have neighbors, you can’t necessarily count on them to keep an eye on your home 24 hours a day for you. They have their own responsibilities as well and have to leave to go to work and to do other things, so chances are good that something could happen at your home while they are away. Even if your neighbors are home while you are going during the day, there is still a pretty good chance that a burglar could sneak right past them and get into your home. Then, there are a lot of horrible things that could happen, all while you are at work and not even thinking about the tragedy that could be striking your home. For instance, a robber could take all of your most valuable possessions, or he or she could even wait in your home until you and your family members get there. This can obviously be dangerous for your family and could cause you to lose your most valuable, precious and sentimental possessions. Even if you do happen to realize that something is amiss or if your neighbors contact local law enforcement officials to let them know that someone is breaking into your home, it could take a while for your local police department to dispatch someone to your home. There is no telling what could happen during this time frame. As unfortunate as it is, robberies and other crimes happen on residential properties every day. Although a lot of them do get solved, many of them also do not. This means that the statistics aren’t all that good that the person who breaks into your home will get caught if you don’t have a security system in your home. 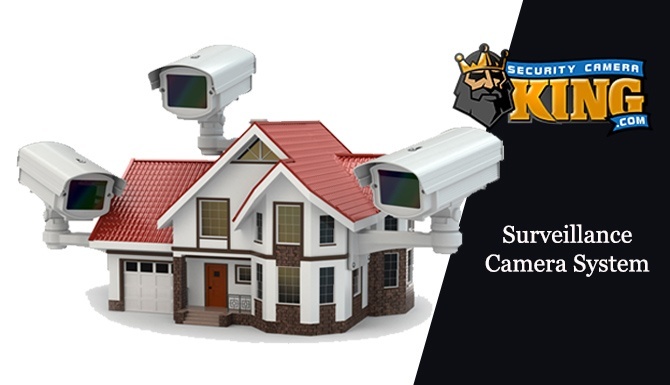 Having a security system and surveillance cameras in your home, however, can make a major difference in whether or not the person who committed a crime on your property will get caught. If you have a burglar alarm, it will immediately contact your local police department, meaning that they will be on their way more quickly and will be more likely to catch the perpetrator. If you have surveillance cameras in and around your home, you might be able to use the footage from your cameras in order to help your local district attorneys, prosecutors and police officers to find and convict the person who broke into your home and robbed you or otherwise committed a crime in or around your home. Not only can this make you feel more safe and can even help you get your belongings back, but it can also help to keep the streets and homes in your neighborhood much more safe. When many would-be criminals come across homes and businesses that have security alarm systems and surveillance cameras, they often continue on their merry way because they don’t want to get caught. Unfortunately for you, however, this means that they will continue on until they find a home that doesn’t have these types of security equipment installed. 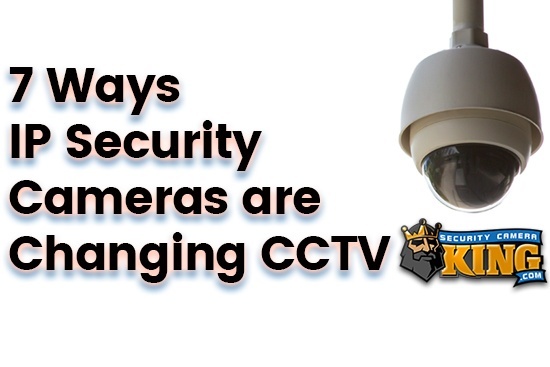 Security systems and surveillance cameras work as stronger deterrents than many people think. Most people don’t want to go to jail and won’t commit a crime if they think that there is a good chance that they will get caught. 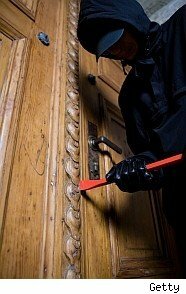 This means that the chances of someone breaking into your home when you have this type of equipment installed prominently are much slimmer than if you didn’t have this equipment at all. If you are like many, you probably have at least a few possessions in your home that are very important to you. For instance, you might have items that are important for sentimental reasons or jewelry that was very costly. You would probably be devastated if you lost one or all of these items, but this could definitely happen if someone were to break into your home. Not only can you help deter criminals from taking these items at all if you have surveillance cameras and a security system in place, however, but you can also help increase the chances of getting these items back if someone steals them if you have this equipment in place. For instance, the law could get to your home much more quickly if you have a monitored security system, which could mean that law enforcement officials will retrieve your property and return it to you. Your surveillance cameras could also help ensure that the person is caught, which also means that you could get your belongings back. Things like fires and high carbon monoxide levels can put your home and family at risk, but it can be difficult to protect yourself and your loved ones from these things. If you have the right security system in your home, however, you can typically opt for detection and monitoring for these things, which can help to keep your family safe. Without having this type of technology in your home, it will be a lot more difficult for your family to feel safe than if you did have surveillance cameras and a security system. Therefore, you can make a serious difference in how safe your family feels by taking this simple and crucial step. Many crimes are committed on residential properties when the owners are away from home, such as on a vacation, and you surely don’t want for anything bad to happen while you are supposed to be enjoying yourself on your trip. Although you can ask your neighbors to keep an eye on your home, and even though you can follow certain tricks to make it look as if your home is inhabited while you are away, leaving your home in the care of a good security system is a far better option. With a security system in place, you can be notified right away if someone attempts to enter your home, and you can feel confident in knowing that the police will also be notified. If you have a good surveillance camera system in place, you can even watch your footage and check in on your home every once in a while with your laptop or other device if you have streaming enabled!